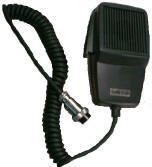 Cb radio microphones at low prices. Top mikes like Astatic, Road King and Overdrive. Noise canceling mics work best for mobile radios. They will filter out background noise, picking up more of your voice and less noise. 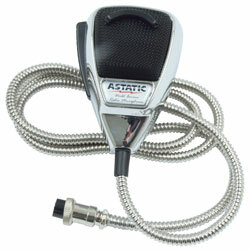 Replacement mics for most base and mobile Cb radios. Mike headsets and mic hangers. Addtional wiring available. Most mikes are prewired for 4 pin radios. If other wiring is required list the wiring in the box provided after clicking "view detail". 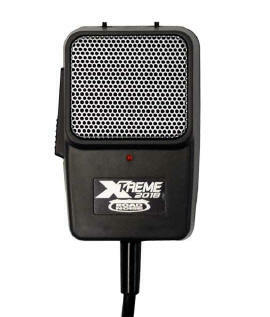 This mic has become one of our top selling for Cb microphone's and 10 meter radio microphone's. Great noise cancelation, volume and clarity with very solid ergonomic military style build. This mike has been outselling our other top brands. 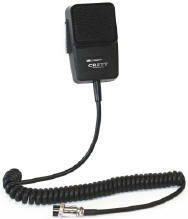 This mic has become one of our top selling for Cb microphone's and 10 meter radio microphone's. Great noise cancelation, volume and clarity. This mike has been outselling our other top brands. *Wired for most standard 4 pin radios. 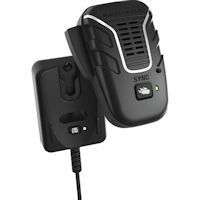 **Note: This wireless Cb mic is only compatible with select Uniden radios that are designed for use with this wireless microphone. *Click "View Detail" to Enter other wiring options. *Add $10.00 for wiring other than standard 4 pin in option box on the next page. (ex. Cobra 148, 5 pin)(click "Add to Cart"). *Wired for standard 4 pin radios. *Power hand mic with volume control. *Helps cut feedback in radios with "talk back"
*A little louder than the astatic 636L,does not cancel noise as well,feedback(w/talk-back) slightly more than 636L. *Add $7 for other wiring. Specify type of wiring (eg. 5 pin, cobra 148)in special instruction box on order form. *Enter your radio brand, model# & type of mic connector in the text box on the next page. *Most standard 4 & 5 pin wiring is included. Other brand mics may be substituted if your wiring is other than standard 4 pin wiring. *Note: If your orginal Cb microphone has a gray "push to talk" lever or states "Electric Condenser Element" on the back, then you can only use that type of mic. 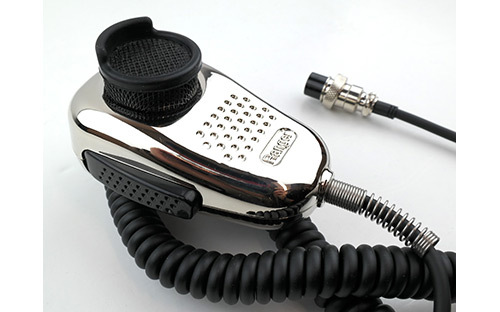 These mics are used on many of the smaller Cb radios, like Cobra and some other Cb brands. Click "Add To Cart" to order. 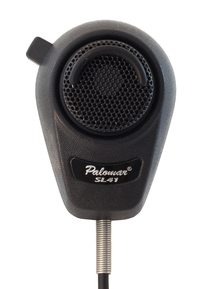 *Brand name may vary as the same DM452 mic is available under several brand names. We currently carry the Workman brand. The Aries brand is no longer made. Stock replacement mic for 6 pin Ranger radios like the RCI 2950dx, RCI 2970 DX, RCI 2995 DX and more. RCI 6 pin microphone connector included and soldered. *For the RCI 2950 DX, RCI 2970 DX, RCI 2985DX, RCI 2990, RCI 2995 DX, RCI2950DX, RCI 2950Dx III, RCI2970DX, RCI 2970N2. Road Pro RP56 or Drivers Product DP56 High quality noise canceling Cb microphones in assorted colors. Cb mic wiring available. GI Joe's Cb Radio. *Colors from left to right. *Choose color after clicking "add to cart". Road Pro RP 56 or Drivers Product DP 56 High quality noise canceling Cb microphones in assorted colors. Cb mic wiring available. GI Joe's Cb Radio. The SL-41 is wired for most 4 pin Cb radios and 10 meter radios. Additional wiring is available. *If your radio is not standard 4 pin microphone connector please list the radio model and number of mic pins in text box on the next page. 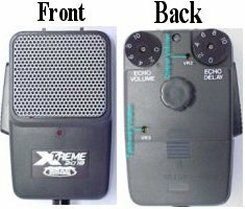 EC2018 Mic - EC 2018 Xtreme Echo Microphone. Cyborg Robotic Voice, Endless Echo, Double Talker, Noise Reducer, Talkback and Echo Adjustment. Click View Detail for more information and images. 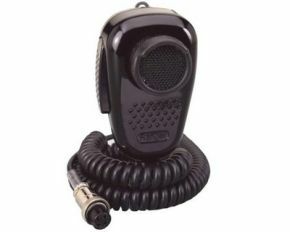 K40 Black noise canceling Cb radio microphone. Havy duty construction. Noise cancelling cartridge to help reduce background road noise. The K40 Cb mic also features an extra long 9 foot felxible microphone cord, black wire mesh grille and reinforced strain relief. ** New. 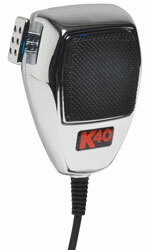 Chrome K40 noise canceling Cb radio microphone. Havy duty construction. Noise cancelling cartridge to help reduce background road noise. The K40 Cb mic also features an extra long 9 foot felxible microphone cord, black wire mesh grille and reinforced strain relief. New Nov 2010. RF Limited CR577 Cb microphone ceramic cartrige power mic with power and tone controls on the back. Ultra-clear sounding mic with low noise audio amplifier. The CR 577 mic comes wired for most 4 pin radios. There is a box on the "view detail" page to list other wiring that you may require ($12.00 charge). Also view more images and the CR577 Cb mic Brochure.